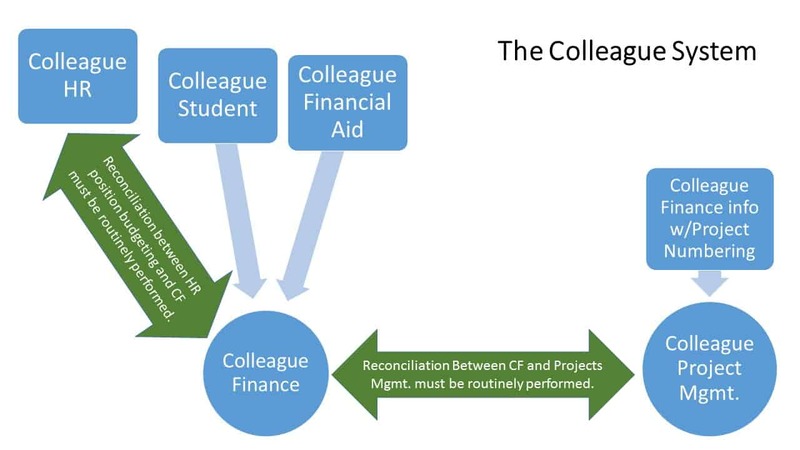 The Offices of Accounting, Financial Services, and Purchasing are currently implementing the University’s Core Financial System in Colleague. In order to assist end-users, in understanding the new system and the changes that are being made, the following resources are aimed at setting up your department’s financial section controls and basic use of the system. Departmental System Setup Questionnaire – Use this to modify account disbursement approvals and who has system access authorization. How does the new fund structure work and how do projects fit into my fund and departmental budgets? 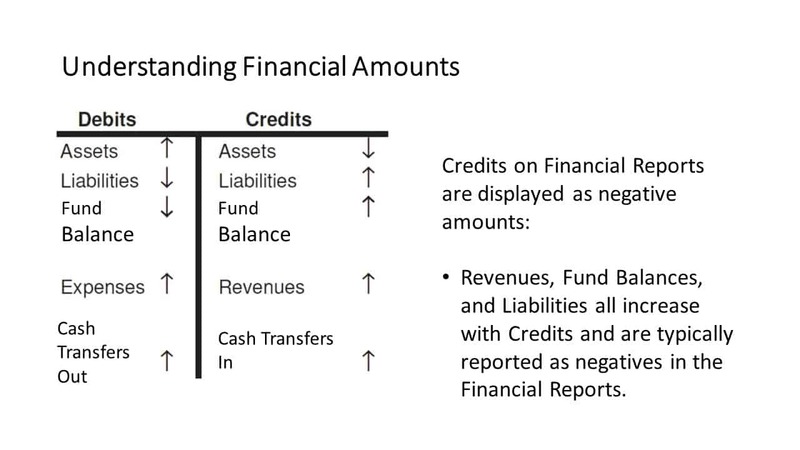 Why are revenues, liabilities, and fund balances reported as negatives on my reports in the Portal? So why doesn't my project balances not reconcile to my general ledger reports? The Projects Management System is a separate reporting system that works with Colleague Finance to provide detailed reporting of subset projects within a department or program. In theory, if all the transactions in a department are project related and are properly posted to Colleague Finance with a project number then Colleague Finance will reconcile with the projects system. Errors and reconciliation issues occur when project numbers are not attached to transactions when they should have been. The following is a depiction of how the various systems interact. What stage is the ERP project currently in? As of August 2017, we have gone live with the finance portion of the ERP. This portion incorporates our purchasing, general accounting, travel, accounts payable and budgetary functions. The HR/payroll functions as well as the non-student revenue function went live January 2018, with all other portions of the system to go live fall 2018. The Finance Team is currently implementing the core functions of the finance system with report building and other functionalities to be implemented over the next eight months. As of January 2018, we are completing our last phase of end-user training for the finance portion of the ERP. This last phase incorporates all project based users (i.e. 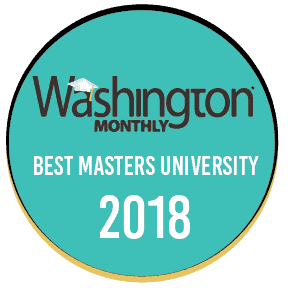 Professional Development Awardees, REAL grants, and other project based awards) and implements a self service site devoted to assisting end-users with the management of general and project based budgeting. We anticipate this last phase of training will be completed by February 9, 2018. 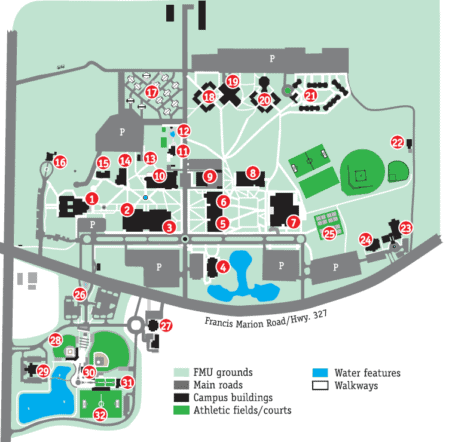 What does the ERP implementation mean for faculty and staff end-users? In a nutshell, we hope that this new system will make your life easier. The goal the Finance Team has taken on these last eight months is to develop a finance system that assists the end-user and meets the reporting needs of senior leadership to ensure timely decision-making. For all faculty and staff, requisitions and requests for reimbursement (with the exception of travel reimbursements) will be electronically prepared within the system. Approvals as well as receiving goods and services will be submitted electronically. Departmental directors, in coordination with the divisional VPs, will approve access to the ERP’s financial system. I received reports with no budgets and expense transactions for goods and services in July, why? When will I receive accurate reports? 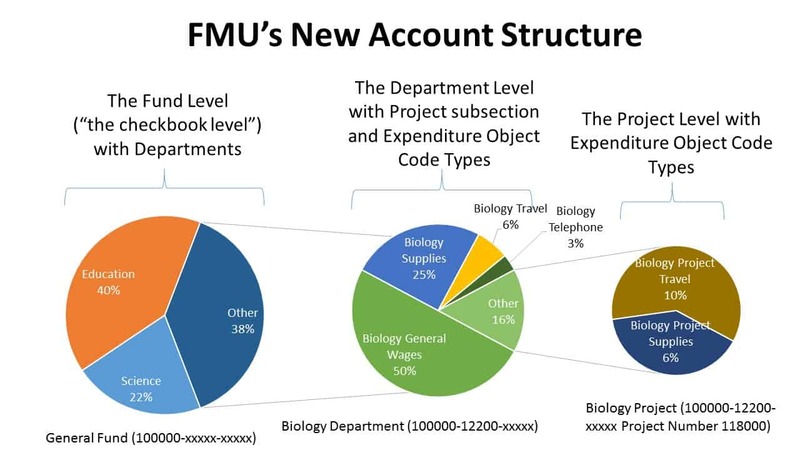 The Accounting Office will migrate salary, revenue, and financial aid data at month-end into the new system, and this data will be available for review by the fifth of the following month. The new system will not initially provide emailed monthly budget reports to you as the old system did. The Patriot Portal will allow you to query specific periods and copy and paste to excel if you prefer. The implementation of Synoptix Report Generator system is currently planned on implementation mid-winter. I have heard the budget account codes have changed. What do I do until I gain access to the new system when processing requisitions and reimbursement requests? Until you have access to the new system, please continue to submit paper requisitions and reimbursements as normal with budget codes you have previously used. If you have any questions please contact the Office of Financial Services at ext. 1136. What is the projected completion of the finance portion for the new system? End-user training will conclude February 2018. Synoptix reporting, our final step in our initial implementation is projected to be complete by June 2018. If I have questions the FAQs do not address, who can assist in addressing my questions? Questions can be submitted to Thomas Welch, Assistant Vice President for Financial Services at rwelch@fmarion.edu or by telephone at ext. 1136. When will I be given access to the system? If you have any questions on when you are going to be given access, please contact your Vice President or Thomas Welch at ext. 1136. Until I get access to the system, whom do I call to find out about my budget? Thomas Welch – ext. 1136 – 1-fund accounts, capital projects and acquisitions, agency, general budgetary inquires. Shara Moore – ext. 1132 – 4 fund accounts, grants, and professional development award accounts. Erika Cook – ext. 1131 – 2 & 3 fund accounts and REAL awards. How will I access the ERP system? Once you have been trained, access to the ERP system will be provided through our website called the Patriot Portal. This website link is noted above in our ERP Website Links section of this page. I have Professional Development, REAL, McNair Research Awards, Sabbatical Awards, International Collaboration or a IT Committee award, when will I be trained to access the system? For Professional Development and REAL awards, new system budget numbers should have been issued to you in the award letters. Until these programs are properly trained (late January early February 2018), please provide these new budget numbers on your requisition forms. Should you need a new budget number, please contact the Office of Financial Services and we will assist you in setting up what you need. Once we have been trained whom will we contact if we have problems using the financial services of the ERP system? The Office of Financial Service will act as the primary customer service contact on resolving issues involving using the financial services of the Patriot Portal. If your question is related to procurement compliance issues or travel regulation issues, you should continue to direct your calls to Purchasing and Accounting respectively for these issues. In the system how do I track the processing of my requisitions and request for reimbursements? Once created, transactions can be tracked using the view/modify/delete menu item on the Patriot Portal in the financial services section. In this section, you will be able to see the status of the transaction. With electronic approvals, how will I know when my approvals are received? Use the view/modify/delete menu item to determine the status of the requisition. Unapproved transactions will have a “U” status. Once approved, the status will become “A” and a purchase, order should be created soon thereafter. If my purchase will require taxes and shipping how do I record these on a requisition? If Shipping/Freight are included in your invoice, have a separate line item for Shipping/Freight. In numbers 1 and 2 above – just use the budget number that you used for the supply or item that you purchased. What will I do to submit a requisition? You need to determine how you need to procure. If you are required to receive bids you will still need to do this. Consult with our Purchasing Office if you need assistance as to how to procure. Once you have collected your support (bids, specs, and other data to assist purchasing in the procurement), you can prepare the requisition in the Patriot Portal. Enter the necessary data to complete the requisition in the Portal. If you desire, you can note what requisition support you are separately sending to Purchasing. Once you have completed your requisition in the Patriot Portal, note the requisition number on the support documentation. You may scan and email this support or mail this support to Purchasing. It may also be necessary that your requisition approver view this information prior to approval. This requirement will be based on the approver’s determination of what is sufficient to make approval of the transaction. After you have completed this you may monitor the requisition’s progress using the view/modify/delete option in the Patriot Portal. What will I do to submit a reimbursement to myself or pay an invoice for which a purchase order was not made? Once you have collected your support (invoices, receipts, proof of purchases, and if needed Entertainment Expense Documentation Form), you can prepare the request a payment in the Patriot Portal. Enter the necessary data to complete the request in the Portal. If you desire, you can note what support you are separately sending to Accounting. Once you have completed your request in the Patriot Portal, note the request number number on the support documentation. You may scan and email this support or mail this support to Accounting. It may also be necessary that your request approver view this information prior to approval. This requirement will be based on the approver’s determination of what is sufficient to make approval of the transaction. After you have completed this you may monitor the request’s progress using the view/modify/delete option in the Patriot Portal. What will I do to submit a payment to individual (PTI)? Once you have collected your support (Payment to Individual Form and New Vendor Application Form if the individual is a new employee), you can prepare the request a payment in the Patriot Portal. Enter the necessary data to complete the request in the Portal. If you desire, you can note what support you are separately sending. Once you have completed your request in the Patriot Portal, note the request number on the support documentation. You may scan and email this support or mail this support to the appropriate office. It may also be necessary that your request approver view this information prior to approval. This requirement will be based on the approver’s determination of what is sufficient to make approval of the transaction. Send completed Payment To Individual (PTI) forms to Human Resources. Human Resources will forward this form to Accounting. If you are paying a new individual, they will need to complete a New Vendor Application Form. This will need to be sent directly to Purchasing. Failure to submit this form will result in delay of payment. What will I do to submit a travel requests? All travel advances, pre-travel payments, and post travel reimbursements will continue to be prepared in the current paper driven format. At this time this transaction type will not be moved to an electronic format. Travel regulations as well as system limitations prevent us from being able to move this to an electronic process. There are no form or process changes planned for travel.